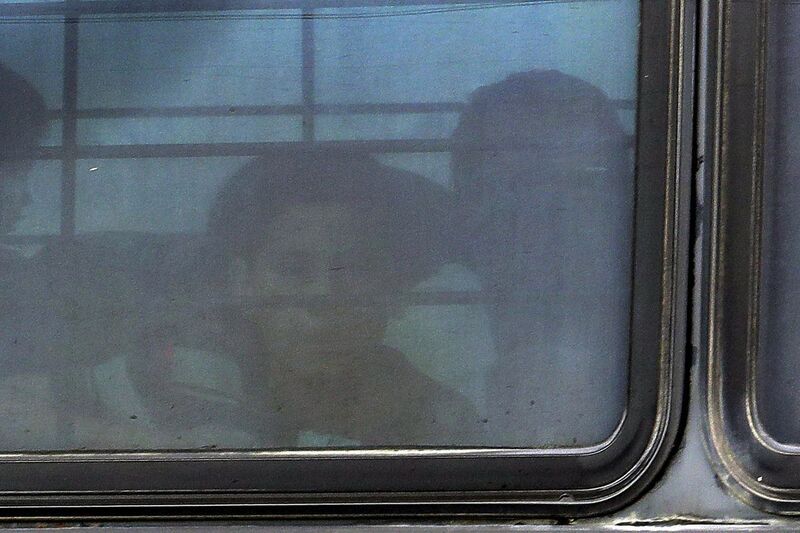 A boy stares out of a heavily tinted bus window leaving a U.S. Customs and Border Protection facility, Tuesday, June 19, 2018, in McAllen, Texas. At birth, the brain is the most underdeveloped organ in our body. It takes up until our mid-20s for our brains to fully mature. Any serious and prolonged adversity, such as a sudden, unexpected and lasting separation from a caregiver, changes the structure of the developing brain. It damages a child's ability to process emotion and leaves scars that are profound and lifelong. That's bad news because, although President Trump has ended his "zero-tolerance" immigration policy of separating parents and children at the border, there are some 2,300 children whose reunification with parents remains uncertain. Humans are among the species that are dependent upon parental care for survival and development after birth. The parent is necessary to regulate the offspring's temperature and to provide food and protection against environment threats. This is accomplished through parent bonding with the offspring that nurtures a deep attachment. The newly born learn quickly that signs of parental presence, such as an image, voice, touch or smell, signal safety. Numerous studies show that parental presence is more important than the surrounding environment for the emotional well-being of an infant or a very young child. As long as the parent is present and remains calm and caring, the child is able to endure many threats and adversities. Metaphorically speaking, the caretaker is the world for the young child.Studies in mammals show that infants naturally conform to parental emotions. The presence of a calm and caring parent produces the feeling of safety in a child. On the contrary, parental distress and fear activate the infant's brain circuits that are responsible for processing stress, pain and threat. The ability of a caretaker to regulate the offspring's emotions is an adaptive function encoded in our genes. Before people have our own independent experiences, we start learning what is safe and what is dangerous in the surrounding environment through observing and interacting with our parents. This increases our chances of survival and success in the world. Any serious and prolonged disruption of parental care, especially in infants and very young children, alters how the young brain develops. Very young children, younger than 5 years old, separated from their parents cannot rely on their presence and care anymore, which causes their stress levels to spike. As stress hormones like cortisol, epinephrine and norepineprhine rise, they alter physiological functions of our bodies to better prepare us to cope with threat. However, prolonged increases in the levels of stress hormones disrupt physiological functions and induce inflammation and epigenetic changes – chemical alterations that disrupt the activity of our genes. Turning genes on or off at the wrong time alters the developmental trajectory of the brain, changing how neural networks are formed and how brain regions communicate. Laboratory studies show that it doesn't take long for separation to hurt infants and children. The feeling of safety and the associated ability to bond with others, the ability to detect and respond to threat, as well as the ability to regulate one’s own emotions and stress are vital. Early reprogramming of neural circuits underlying these functions can directly or indirectly alter the child’s physical, emotional and cognitive development and causes lifelong changes. Jacek Debiec, Assistant Professor / Department of Psychiatry; Assistant Research Professor / Molecular & Behavioral Neuroscience Institute, University of Michigan. This article was originally published on The Conversation. Read the original article.